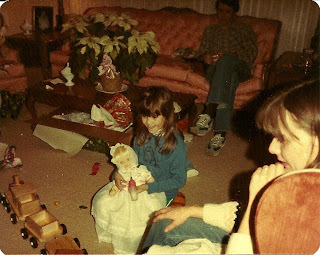 I wasn't much of a kid for dolls. I prefered plastic animals. I had a dollhouse, but used my plastic animals in the dollhouse. But then one year it happened. Baby Alive was released, just prior to Christmas. Oh how I wanted Baby Alive. She came with different flavored powdered food packets that you mixed with water - cherry, lime, and strawberry for feeding. After moving a lever in her back, she'd swallow the food, and it would come out the other end. What could be more intriguing than a doll that PEED and POOPED?!? Alas, I wasn't the only kid that wanted a Baby Alive that year, because there wasn't one to be found anywhere when Christmas rolled around. Instead, I got a doll that cried and drank bottles. The crying was pretty good. But I sure was bummed there would be no mixing of baby food and diaper changing going on. 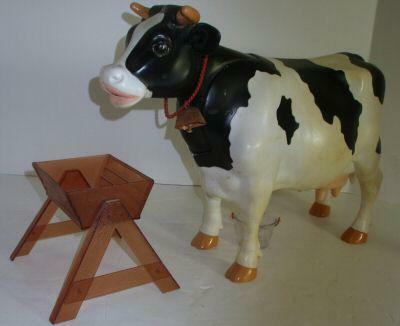 Second place for the toy I always wanted but never got would be Milky the Cow, who drank from her trough and then you could actually milk her. Hmmm. I guess I had a thing for bodily functions. Want to participate in Memory Lane Friday? It's easy! Just copy the code from below the button and paste it into the blog. Then come back and add your website to Mr. Linky, and if there are others visit their sites too. Come back next Friday - the theme is 'a room'. I don't remember Milky the Cow. Looks pretty cool though. And I always thought a doll that pees and poops is disgusting. Erin P. had Milky the Cow. I wanted that doll too! I thought any doll that did more than just lay there was great. As far as next week, what do you mean by "a room"? But I'd have given up a hundred Pebbles dolls to have one Milky the Cow. That is hilarous! I never even heard of that toy. 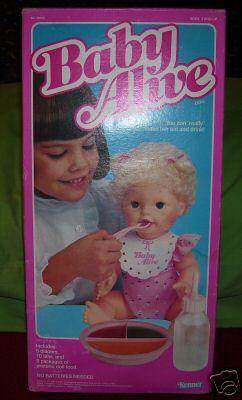 PS--I loved my dollies, but my favorite toy of all time was a "Mad Scientist Chemistry Set." Yeah, I was a nerd back in the 60s!